For some time now, the Nintendo Switch has been sorely lacking in the life simulation game department. Of course, there’s Stardew Valley – easily one of the greatest titles to grace the console – but the obvious absence of instalments in the “relaxation” genre has left many fans feeling disenchanted. 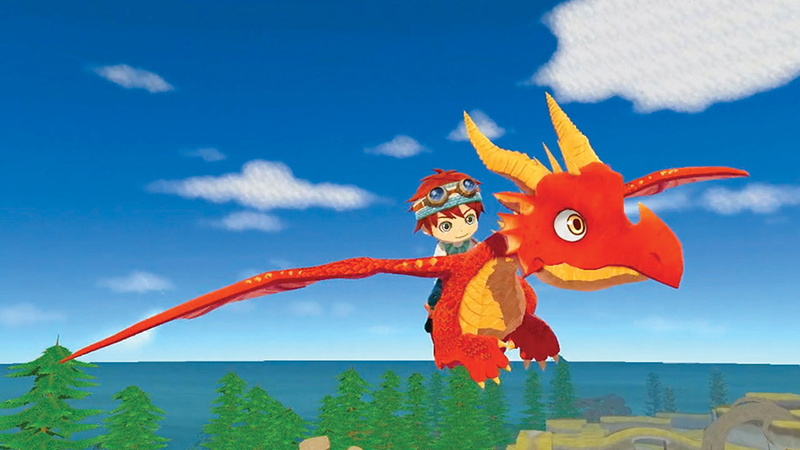 Yasuhiro Wada, the original creator of Harvest Moon, appeared to have previously abandoned the farming simulation world in favour of sandbox-style games such as Happy Birthdays. Luckily, he’s thrown his hat back into the ring (or, at least close to it) with Little Dragons Café – an adorable new addition to the genre on Nintendo Switch. 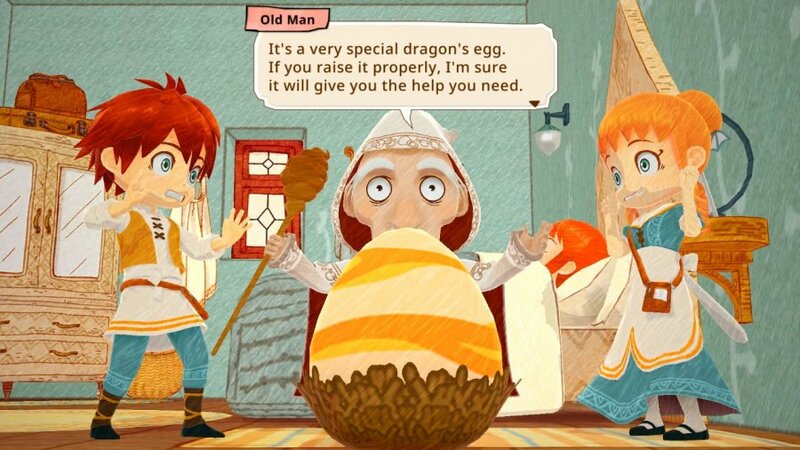 In this game, you and your twin sibling are responsible for managing your mother’s café after she falls deathly ill – and, on top of this, caring for and raising a baby dragon bestowed upon you by a mysterious old man. This will involve cooking recipes, serving guests, and foraging for ingredients, among other tasks. 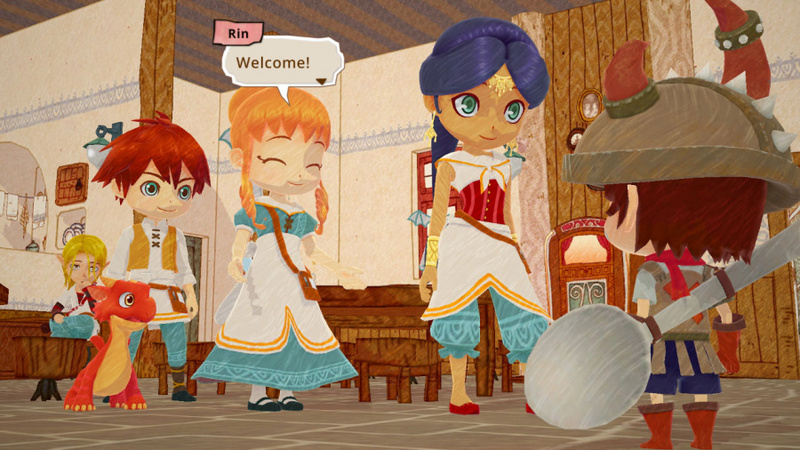 The game is a unique blend of genres – including elements of management simulation, rhythm-based gameplay, and role-playing. Although farming is surprisingly absent from the game, a large focus is placed upon gathering ingredients and cooking recipes – something many Harvest Moon fans will remember and enjoy. The art style is just as unique and charming as the gameplay, featuring storybook-like graphics that make you feel as if you’ve fallen into a hand-illustrated dream world. Fittingly, the game is even divided into chapters, like a novel. However, the actual performance can feel a bit nightmarish at times. Load times are a drag on the game’s pace, and can significantly interrupt and slow down the flow of the story. Each time your character steps into, or out of, the café (which is necessary at least every few minutes), you’ll wait anywhere from ten seconds to over a minute for loading. Other issues occur when you begin venturing outdoors, and notice that frame rates can slow to a snail’s pace. Sometimes, this is also accompanied by haywire camera controls, spinning the screen in circles (expect some mild nausea). Frequent hitching can also occur while you explore the outside world – which isn’t ideal, considering the time mechanics in these types of games that require an increased pace of play. Fortunately, you’ll find it difficult to stay frustrated for long with an adorable, colour-changing dragon at your side throughout the game (fair warning: the dragon is not house trained). Along with your new companion, there is a unique depth to the characters in the game’s storyline that can only be found in a title created by a master storyteller like Wada. The gameplay also gets better with time, as the story and pace pick up with each new chapter – and the world you’re able to explore expands along with it. New characters and details on their backstories will continue to be introduced throughout the game as well, something that fans of Harvest Moon games will be very familiar with. If these are things you value in a game, you won’t be disappointed. Little Dragons Café is an endearing feast for the eyes – and extremely unique in its concept – but can lose some of its charm after too much time spent waiting on technical issues like load times. Hopefully, some of these problems can be fixed with a future patch or update. Still, Yasuhiro Wada is the master of turning a simple game into a living, breathing story – and you can expect to experience that same level of care and detail in his latest adventure. It feels as if he is inventing a brand new genre of game all over again – just as he did with Harvest Moon. For those who seek a laid-back experience on the Nintendo Switch, this game will lovingly fill the void, even if it's a little rough around the edges. Annnnnd I'm out of money. I hate being a responsible adult. Since the most recent Bakumono and ever oasis (plus no new rune factory) are stuck on the 3ds I have to get this to fill the void. Getting a little bored with stardew. When the price drops I'll get the game. Will buy in the distant future if the technical issues are worked out and if I can find it used for cheap. If only the cooking process could be Failed (Fiasco foods)(Failed to press the corresponded arrows while doing Mini games) & have some Cooking Mama elements, it would be interesting. Anyway, i will get the game on 2nd September 2018. Nintendo Life...please start requiring reviewers to state how much time they’ve put into a game. With games of this type, like Harvest Moon, you can put a few hours into it and write a review. Or you can put 30+ hours into it and really see what the game has to offer. This review didn’t seem very in-depth. Maybe the game isn’t deep? Maybe the reviewer didn’t play it much? We have no idea. How is this a review? The only information here is who made it, a brief one-line mention about how it combines genres, the art style, bugs, and then the score. That's just an overview, not a review. Where's information about the actual gameplay? The story? Mechanics? Activities? Quests? Systems and UI? Whether there's any combat? There's literally no information here for those looking to learn about the game apart from how badly this "reviewer" says it performs. Definitely picking up a physical copy of this game. Aksys games usually print in low numbers. So even though this is an average reviewed game, eventually it'll be a highly collectible entry in the Switch library. I still don't understand what this game is about? 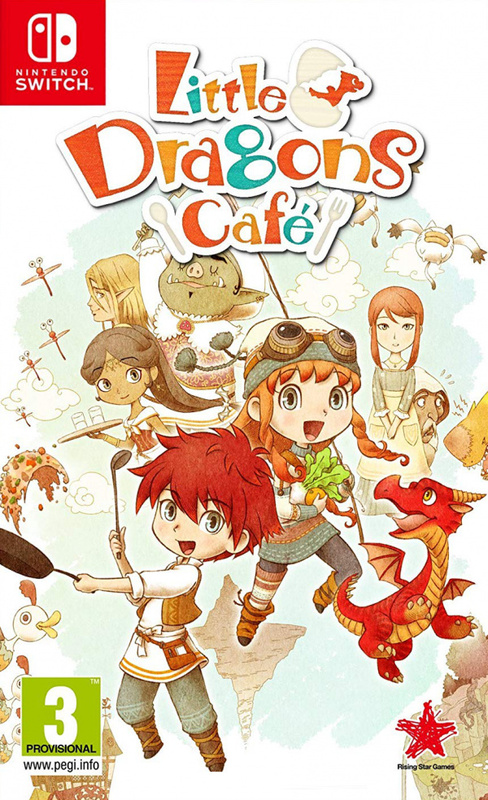 Do you run a cafe with a Dragon? What can I order? If the Dragon isn't house trained does that mean he is naughty? I'll consider this game when the price drops a fair bit. The gameplay just doesn't seem deep or meaty enough to justify a 60 dollar price tag. I rented this and sent it back the next day. Great art style but the game runs very poorly and there are a ton of loading screens. I still have no idea what's going on in this game but I'd love to know. I’ve seen some folks on my friends list already get obscene amounts of hours into this game. So it stands to reason it can hook folks. @Roam85 that’s good to hear, are they saying anything about it being buggy? The poor frame rates and load times are explained at least in part by the fact that each cartridge contains a tiny Yasuhiro Wada who lives in your Switch and hand-draws every frame for you in real-time as you play. Or at least that's the only thing that could justify a $60 retail price for this when Stardew Valley is literally 1/4 of that. Aside from technical issues, this is exactly as much as I knew about the game before reading the review. Does Nintendo Life not have an editor to explain what's expected of a review or a criteria sheet for reviewers to follow? @austin_voigt I see you deleted your comment, but why did you say you thought the game was overpriced "even before realizing there were technical issues"? Is there not a lot of content in the game? Is the storyline short? There's no indication as to why you would feel the game is overpriced based on what it offers in terms of gameplay, yet you gave it a favorable 7/10. @Tops I appreciate the feedback, and you make some great points. To answer your question: from what I'd read and seen about this game beforehand, my initial reaction was that it was overpriced from a business standpoint. However, as a fan of Wada and his games, the price isn't something I'm very concerned about. Additionally, because this game isn't very well known, it's my assumption that many of the people who are actively researching it may feel the same - they're interested in the style of game, and the creator behind it. Lastly, although flawed, it is unique, and will likely open the door to a new style of games. This is why I gave it a score of 7/10 - I took into consideration the core audience of interest, rather than the general population. However, my score was originally going to be lower. If it were priced differently, this could mitigate the disconnect users are seeing between cost and technical performance, which is preventing many of them from purchasing the game. I could have included more detail in the review - and I appreciate when some reviews for other styles of games do go into detail. However, for this game, I preferred to give more of an overview, and point out enough of the main pros and cons to help someone decide for themselves whether or not to play it. With a narrative game such as this, the core details are more in the storyline (much of the rest of the gameplay is just repetitive actions - as with many sim games), so including too much detail about the storyline would simply spoil it for those who enjoy that experience. I'd prefer to allow the player to experience the story for themselves, and wrote in the way I would prefer to read a review about this specific style of game. But I definitely understand why that's not the ideal format for everyone, and I will certainly take your feedback into consideration next time. Thank you for being so engaged in the content we produce - it really is important to have constructive feedback, and I can tell you're passionate about this. It's much appreciated. It looks cute, but I'll wait until there's a very deep price cut. @Tops And honestly, I deleted my comment because I thought it was stupid. The visuals look so bad. Very cheap and not done. @austin_voigt: considering you went out of your way to not answer the main question as to how long you actually played the game, I think it's safe for readers to assume it wasn't much more than an hour, give or take. @c2017nlifemedia Currently halfway through the chapters - trying to savor the story as much as possible, as this game was more of a personal purchase that I helped out with reviewing. Reviews aren’t generally my main focus. A game like this has no excuse for long loading times and the other issues described. Not by 2018 standards with highly experienced devs seemingly working on it. Perhaps I am being harsh, but I don't see what would be so demanding as to justify these sorts of issues in a game of this sort. Fix the performance and loading issues and then you can have my monies. @austin_voigt This comment is nearly as long as your 'review'. @austin_voigt I was thinking that, with the review given, the game must be pretty good if it got a 7 with those issues. What score do you think you would have given the game if it didn't have the technical issues? LOL at the people trashing the review. Go read more, watch a youtube video, make your own. Sh*tting on people on the interwebs, doesn't make you cool. @PLAYwithGregg It has nothing to do with trying to be cool or sh*tting on people. It has everything to do with an author on a gaming news site posting a review that isn't a review. I personally use NL as my main source of Nintendo news, and expect certain levels of ACTUAL useful information. But if NL only had half-assed 'reviews' like this one, I don't think anyone would ever bother coming here. That's the issue: if a review is posted, make sure it's an actual review and not (by the author's own admission) just a surface-level overview. When does this game actually come out in the UK? I'm getting it should of released on the 24th August 2018 or it's releasing on the 21st of September...? Is there one release date for the digital version and one for the physical? @Eef Yonder is definitely the laidback adventure game I hoped it would be. Story is practically nonexistent but it's a lovely world to explore. Hope you like it too! I started this game. I consider the stuttering frame rate and load times to be minor annoyances, but honestly, I don't think they hurt the game that much. My biggest issue with the load times is not how long they are, but they are required for just about every action you can think of, so maybe that's a bit more than a "minor" annoyance. But it doesn't make any sense. Why does a game that has simple story book style graphics (which I love) not run smooth as butter on the Switch? And rumor has it that things aren't much better on PS4. Does anyone know of any other games similar to this? It's a bit of a weird genre but I want to play more games like it. I honestly don't mind paying full price for a game if it's lovingly crafted, and I'm definitely vey interested in this. But to pay $60 and get a technical mess... sadly, I'll have to pass for now. Hopefully there's a patch in the new future, and then I might reconsider.